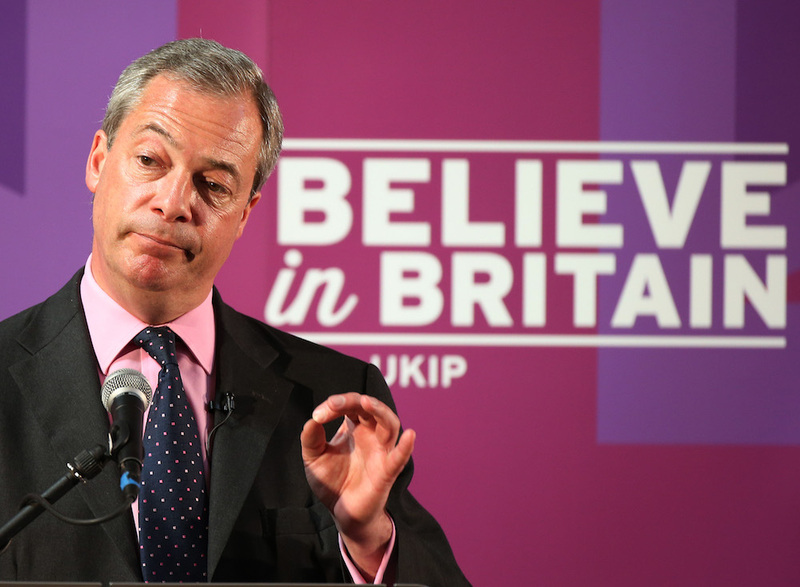 Angry Populists Think Quitting the EU Will Put the British People Back in Charge. If They Win the Vote, They’ll Be Sorely Disappointed. In keeping with the fashion of the times, the future Mrs. Thatcher wore a hat through much of her failed first campaign—though she does not seem to have had the wherewithal to emblazon it with her catchy slogan. That particular piece of showmanship was left to another unlikely political upstart, whose infamous slogan is eerily similar, and who also believes that an incompetent government is to blame for leaving his country weak, economically stagnant, and overly hesitant to use its might: Donald J. Trump. In style or substance, of course, Margaret Thatcher is nothing like Donald Trump. Trump proudly breaks all rules of good behavior; Thatcher insisted on the civilizing power of social convention. Trump is an ideological iconoclast, always willing to follow the lowest instincts of his supporters whether they lead him to the left or the proto-fascist right; Thatcher was a committed conservative who aimed, first and foremost, to advance her principles. But, for all of their differences, it is no mere historical oddity that they wound up with much the same slogan. In fact, it rather neatly encapsulates a crucial trait that unites many right-wing politicians who are otherwise dissimilar: They not only share the nationalist belief that their country is marked for greatness—but also the visceral fear that it is under threat both from internal traitors and external enemies. This fear is especially powerful among the populist insurgents who have launched a hostile takeover of the conservative establishment in a number of countries. Trump in the United States, Nigel Farage in Britain, and Marine Le Pen in France all fervently believe that the solutions to the most pressing problems of our time are much more straightforward than the political establishment would have us believe—and that the great mass of ordinary people instinctively knows what to do. At bottom, they see politics as a simple game. So long as the pure voice of the people prevails, the reasons for popular discontent—economic, social, even military—will quickly vanish. America (or Great Britain, or France) would be great again. This begs an obvious question. If the political problems of our time are so easy to fix, why do they persist? Since the populists are unwilling to brook the idea that the real world might be complicated—that solutions might be elusive even for people with good intentions—they need somebody to blame. And blame they do. The most obvious culprit often lies outside the country. So it is only logical that Trump blames America’s economic problems on China and other countries. Nor should it be surprising that he preys on people’s fears by claiming that the United States is being overrun by dangerous rapists (Mexicans) and terrorists (Muslims). European populists see their enemies elsewhere, and tend to express their bile in a rather more circumspect manner. But their rhetoric has the same underlying logic. Like Trump, Le Pen and Farage believe that it must be the fault of outsiders—of Muslim moochers, Polish plumbers, or Brussels bureaucrats—if ordinary people feel that their incomes are stagnating and their identity is threatened. Since the populists are unwilling to brook the idea that the real world might be complicated—that solutions might be elusive even for people with good intentions—they need somebody to blame. And blame they do. There is only one problem with talking up the role of outside enemies: If they should seem too powerful, the promise of easy deliverance would begin to ring hollow. To preserve the idea that it would be easy for somebody with the right intentions to make all the difference, populists thus need to supplement their fear-mongering about external enemies with wrath at internal traitors who have supposedly enabled them. This, of course, is the political establishment. People in the capital, populists of all stripes argue, are either in it for themselves, or they are in cahoots with the nation’s enemies. Establishment politicians have a misguided fetish for diversity. Or they have naively bought into the European ideal. Or—simplest explanation of all—they are secretly Muslim. There are two logical implications of this worldview, and most populists are coherent enough to embrace both. First, an honest political leader needs to take office—one who shares the simple, pure political outlook of the people and is willing to fight on their behalf. And second, once this honest political leader is in office, he needs to abolish the institutional roadblocks that might stop him from implementing the pure will of the people. Liberal democracies are full of inconvenient checks and balances, which are meant to stop any one party from amassing too much power, and to reconcile the interests of different groups. But in the imagination of the populists, the will of the people does not need to be mediated, and any compromise with minorities is a form of corruption. In that sense, populists are deeply democratic: Much more fervently than traditional politicians, they believe that the demos should rule. But they are also deeply illiberal: unlike traditional politicians, they openly say that neither individual rights nor institutional norms should stand in the people’s way. Among the many populist strands, the one that will receive more than its usual share of attention in the next few months stands in a direct line of descent from Thatcher. Increasingly hostile to the European Union over the course of her career, she infamously concluded upon leaving office that, “they’re a weak lot, some of them in Europe, you know. Weak, feeble.” In a referendum on EU membership in June, her countrymen now have the option of severing ties with that weak lot. To judge by early opinion polls, many of them are tempted. The Euroskepticism that has animated the “Leave” campaign is, in some ways, the least pernicious form of populism. Its declared enemies are comfortable bureaucrats in Brussels, not the Syrian refugees who are moving in next door. Nor is the solution they seek the stuff of nightmares. Instead of dismantling civil rights and independent courts—as Viktor Orbán has done in Hungary, and as Jarosław Kaczyński is now doing in Poland—those advocating for the so-called “Brexit” seek to leave a supranational organization that, for all of its many achievements, really does have a significant democratic deficit. Though the European ideal is much more noble, and rather less naïve, than critics give it credit for, any clear-eyed observer must concede that the predominance of bureaucrats has effectively insulated the EU from the political preferences of ordinary Europeans. If Britain does leave the EU, it may suffer all kinds of negative consequences. But the country’s political system will in no way be under threat. Yascha Mounk is a lecturer on government at Harvard University and a Carnegie Fellow at New America. This essay is part of Will the U.K. Divorce Europe Yet Again?, a project of Zócalo Public Square. *Photo by Scott Heppell/AP photo. Brexit, Europe, politics, Populism, Referendum, U.K.